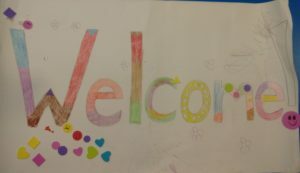 Draw the outline of the word “Welcome!” in advance and cut the paper to the length you want. 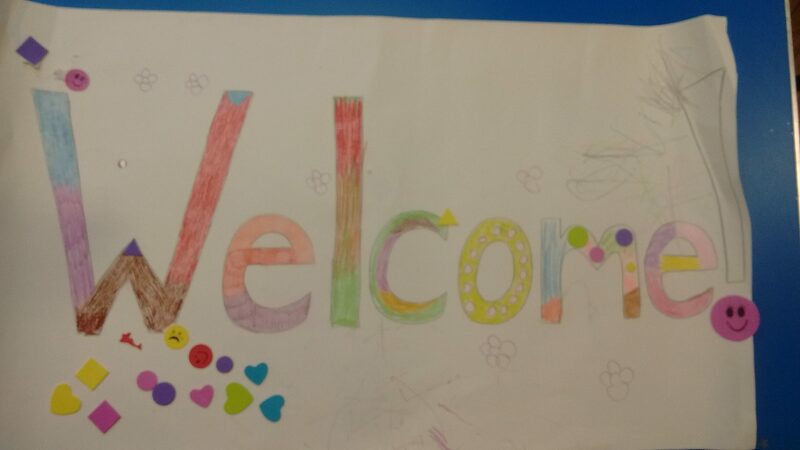 Get children and adults to do the colouring and decorate it with stickers. Hang it up somewhere! 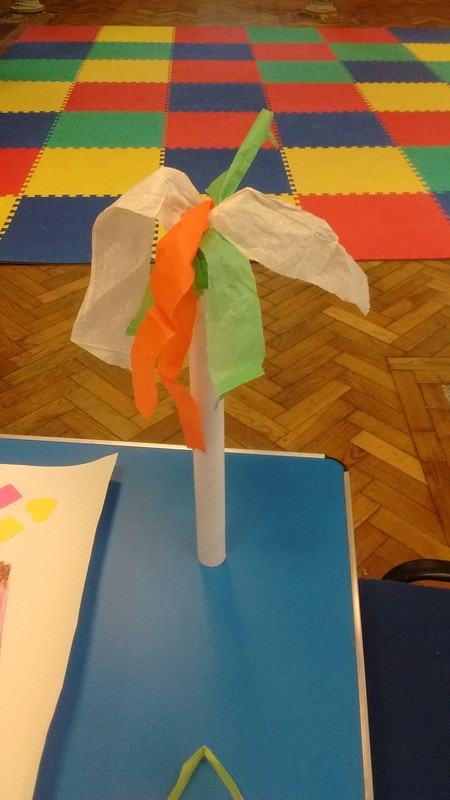 For those children who wanted to make something to take home, we made things to wave, thinking about how you might wave a flag to welcome the Queen. 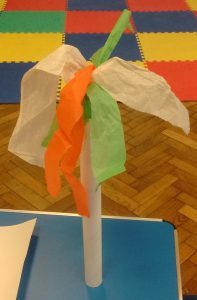 Tear the tissue paper into strips and glue them to the end of the tube. Your finished wavy thing will look a bit like a palm tree. You can also stick stickers to the tube. It would probably be a good craft for Palm Sunday.